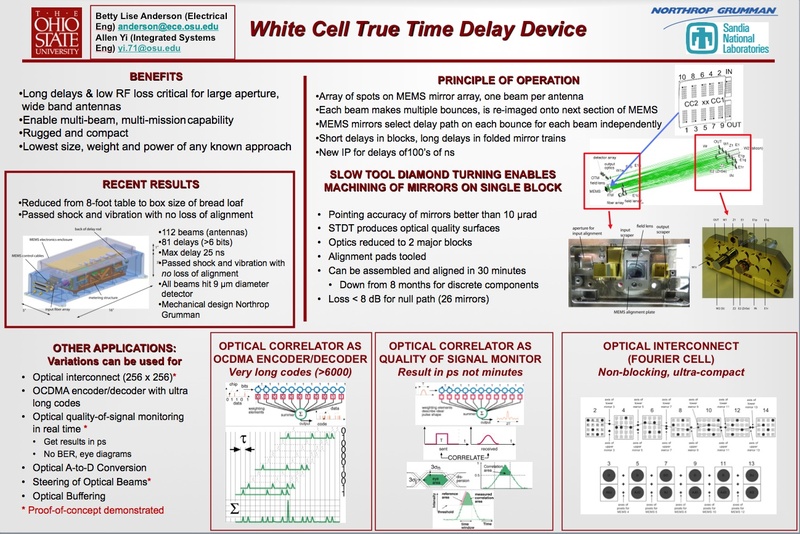 Abstract: Prof. Anderson is currently working on photonically producing true time delays for phased radar array antennas. She is also investigating optical cross-connects, optical code division multiple access, quality of signal monitoring in optical networks, and other optical devices. Here is a photo of a spot pattern for a single beam.